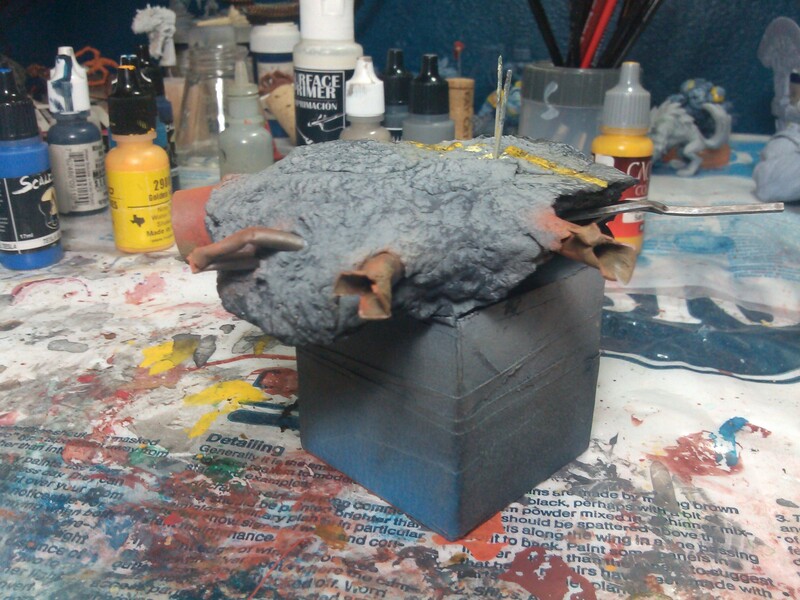 Last night I got the chance to work a bit on the base for Mr. Grimm. I am going for a concrete/blacktop look. I am not sure if I am pulling that off or not yet, but I am not unhappy with the results yet. The base needs more elements for sure, and I am not sure what they will be. 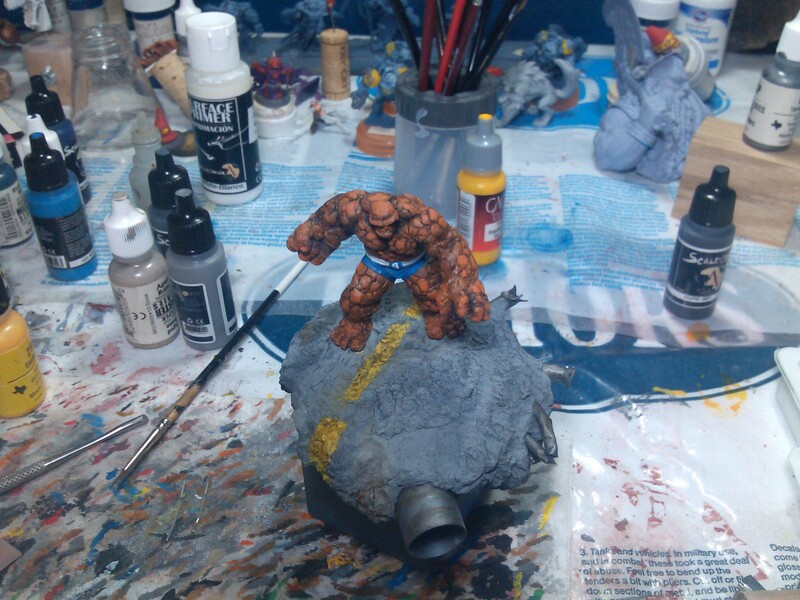 I will be adding (not sure how yet) a street sign for Yancy Street (either ruined or fully upright). But it will need more after that. For me, the busier the base, the better. 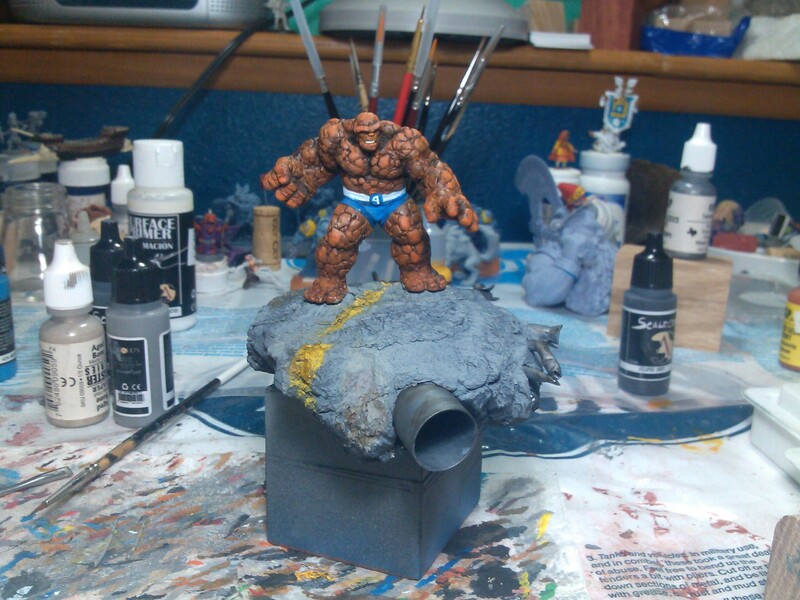 This entry was posted in basing, minatures, miniatures painting, pigments and tagged miniature painting, secret weapon miniatures. Bookmark the permalink. I think its coming along really nicely. Although it looks like your strips may not be the same width. The cracking of the pavement is excellent. Yep, they are not (sadly) the same width. 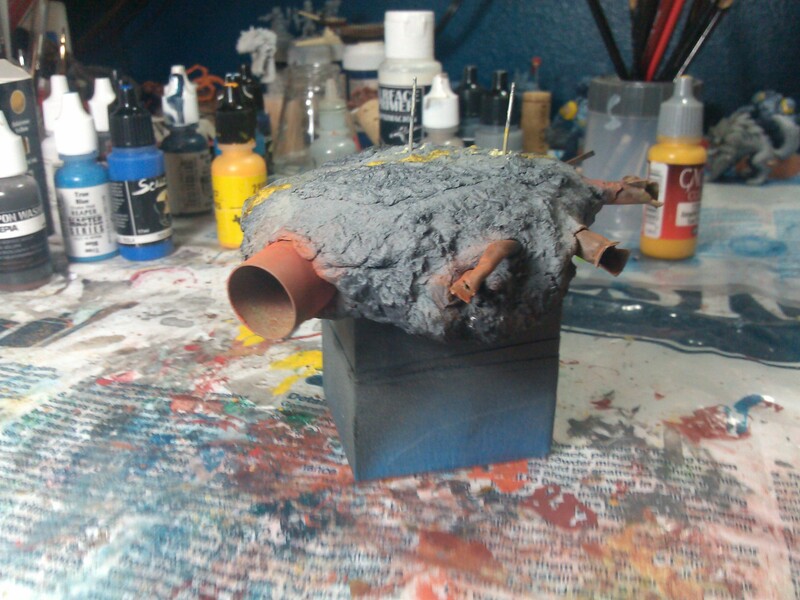 I think I have “fixed” them a bit by some more weathering. Thanks for the feedback on the concrete. I was wondering how it came out.